We believe the best insight into working at Castelan is to hear directly from some of our dedicated, hardworking employees and decide if their journey could be one you are looking for. March 2010, a nervous and anxious time for me, as not only was I starting a new job, but my family had relocated for this opportunity, and now I can say this was the best decision I have made. 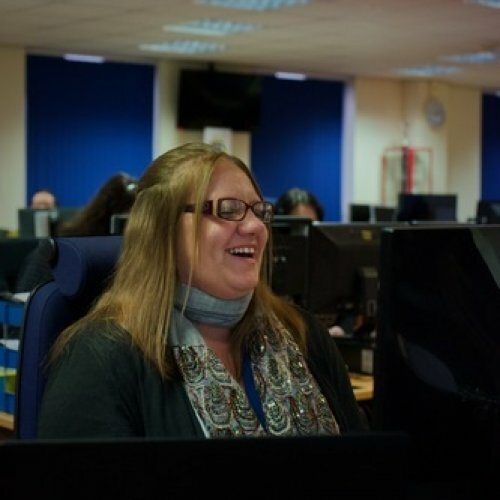 I started my career with Castelan (then Homeserve) as a Customer Service Advisor Level 1, within the Warranties Department for the Claims Centre, initially on a temporary contract. The training I received was fantastic and equipped me with the skills, knowledge and tools required to complete the role. On the 1st August I was officially employed by the company. I have to admit this was a great feeling as it provided me with the security and confirmation that I had indeed made the correct decision to relocate my family. My personal journey has had its ups and downs. I have progressed from a Customer Service Advisor Level 1 to Level 4, and this is due to the continuous support and encouragement I received from everyone within the company. Even at low points when I did not achieve the progression I so badly wanted I looked to my superiors and they gave me the words of encouragement I needed and the constructive feedback on areas I needed to work upon. In October 2017 my hard work and dedication was rewarded and I secured the role of Team Supervisor for Team Pluto in our Claims Centre. The feeling of achieving this role meant so much, as being a Team Supervisor means I am in a position to continue the support and encouragement to others, and help them be the best they can and watch them grow and progress. As my journey continues, it is great to see others where I was 9 years ago as I know how they are feeling and I can use this to support them and use myself as an example to guide them. Castelan, is one big family and we are all striving to achieve the same goal and together we will achieve wonderful things, and like my fellow colleagues I am looking forward to the future and to where my journey will take me. When I started 15 years ago with the company, I was fresh out a 4 year apprenticeship not really fully aware of the job in hand with regards to customer relations and repair techniques, I had solely learned upholstery. Within my first training session I was made aware of leather, cabinet and fabric cleaning techniques which I learned over a 2 week plan before going out on the road with an Area Manager for 2 weeks to learn even more as the jobs were being completed. Over the years I was asked if I felt I needed more training and I always said yes. I went on numerous courses in leather, cabinet and spot cleaning provided by Castelan over the coming years. I picked up tips from other Technicians in the field and I listened to what they were saying and relayed this back to my manager. I gradually built up a skill and knowledge of repairs and customer relations and as I grew more confident I tried and was encouraged to try new things. This helped me in the field, and in new opportunities presented to me. Over the years and voicing certain ideas or issues, for me and other Technicians, my name was becoming more known within the company, and so progression became more available to me. I always maintained a high performance and completion rate throughout my years and had many positive customer interactions and so every time I was passed for re-grade and was promoted higher I kept this going. This meant I was given extra responsibilities to do, whether it be visiting complaint customers, as I could always maintain a great customer relationship, or speaking to a Technician and advising them over a repair method or report issue, this led to a chance of being eligible for new role. Castelan felt that there was need for some Senior Technicians in each area to support the Area Managers, gain progression in the Network, and become coaches and trainers for other Technicians. I was made aware of the opportunity and applied and was accepted so now I am offering support to all Technicians throughout the company and the Head Office with queries on timings and repair possibilities. 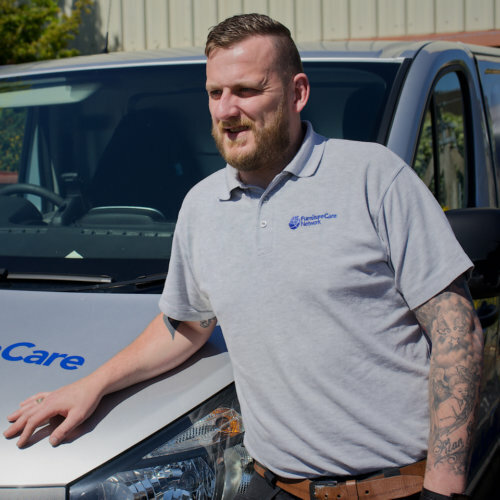 I now help manage a team of 10 Technicians and 13 Contractors spread out over the country and have a good, if not great, working relationship with each individual. I have provided client support, presenting in Roadshows for some clients, showing their teams and their customers how to repair leather, wood and even fabric issues. This is something I feel I am relishing in and this is all due to Castelan encouraging me form the Area Manager to HR, who have known me several years, and seen my journey from a fresh apprentice to a Senior Technician. And I know with the right progression and further training that I am receiving now, it can only get better. Click on the button below to be taken to our careers portal, where you can view the available vacancies and apply online. If you have a question, or wish to enquire about one of our vacancies, please contact Katie Dominy on 01934 423 304 or use the contact form in the link below.